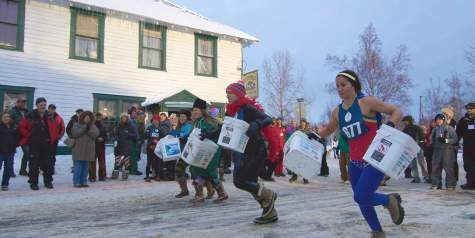 Talkeetna Winterfest gets started this weekend with several events that are uniquely Alaskan. Winterfest officially gets started at 5:30 p.m. Friday, Nov. 30 with the tree lighting ceremony in the Village Park. Santa Claus will be on hand as well. Then, at 7 p.m., the motorized parade of lights winds its way through Talkeetna, ushering in a month of celebrations, events and holiday cheer. The fun gets ramped up a notch or two on Saturday, Dec. 1 with two of the most unique events in Alaska - the world-famous Wilderness Woman Competition and the Talkeetna Bachelor Auction. 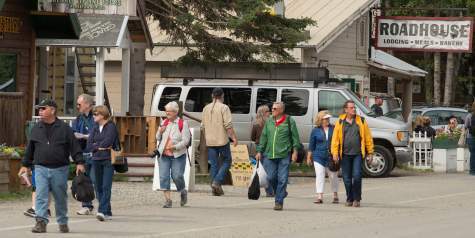 The Talkeetna Bachelor Society hosts the events each year. They start it off with the Wilderness Woman competition, which tests the contestants&apos; abilities to perform everything vital to living with a bachelor in the Last Frontier. The contestants start by hauling full, five-gallon water buckets up and down Main Street - if you are living in a "dry" cabin, this is an important skill to have! After the field is trimmed to six semi-finalists, it&apos;s time for Round 2, in which the single women make their bachelors a sandwich and deliver it to him with a beverage, then sawing and chopping wood. The final round includes all things adventure - the finalists must snowshoe around a course, "shoot" a ptarmagin and a moose (no real animals are harmed in this adventure! ), catch a fish and of course, ring the dinner bell. The hilarious event kicks at noon on Main Street, and sign-ups are at 10 a.m. at the Fairview Inn, with a limited number of spots available. All contestants must be over 21 and single, according to the Talkeetna Bachelor Society. That evening, the men take center stage - literally. The Talkeetna Bachelor Society, consisting of single men ages 21-70 from all walks of life, are auctioned off on stage at the Sheldon Community Arts Hangar. This is the 38th annual event, and it&apos;s a hoot. Presumably, the women bid on a bachelor for a dance and a drink, but who knows where it&apos;ll lead - we&apos;ve heard stories of marriages coming out what happens at the Bachelor Ball, which immediately follows the auction. Doors open at 6 p.m., with the auction starting at 7 p.m. The event, while good-natured and hilarious, is also important. The Talkeetna Bachelor Society has used the auction as a way to fund social causes in the upper Susitna Valley. 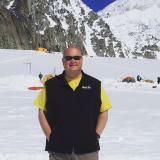 The society has donated thousands of dollars to the Fund For Women and Children in Crisis through the Alaska Community Foundation, as well as the Families in Crisis Fund, administered by the Sunshine Community Health Center. 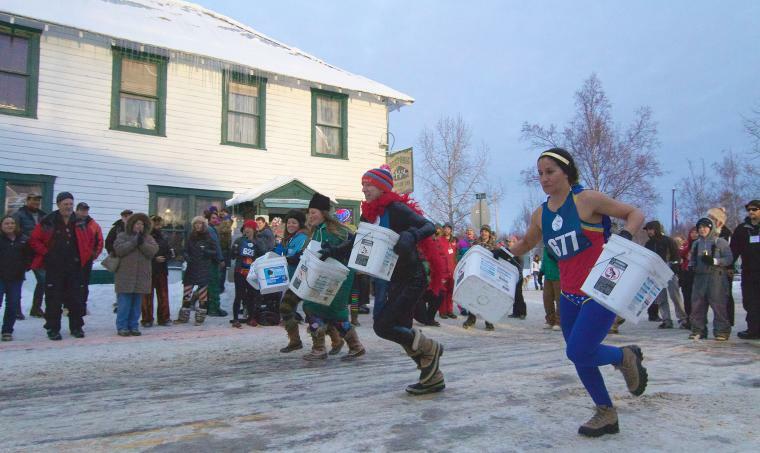 Talkeetna Winterfest continues the following weekend with the popular Taste of Talkeetna event. Tickets are $50 which get you a "taste" of a dish at the Talkeetna Roadhouse, Mountain High Pizza Pie, Latitude 62, Flying Squirrel Bakery, West Rib Pub, Denali Brewpub and a the Fairview Inn. Bring your appetite as you sample your way through town. The event runs from 4 p.m. to 8 p.m. Tickets are available for prepurchase at the Talkeetna Roadhouse - call 733-1351 to order them today.